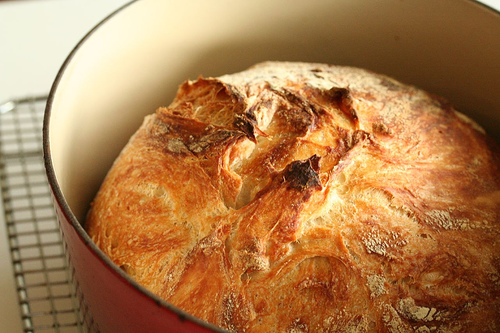 So what is the solution, where is the middle ground: an Easy No Knead bread. So say you hate baking, hate cooking, this recipe is so easy it might change your mind. 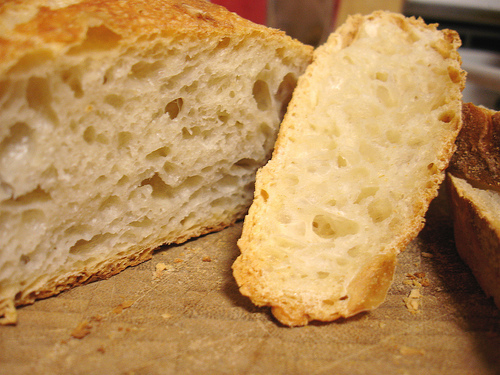 Then, when it has risen it will be all puffy and have little holes and a stringy texture. Ideally, you want to be able to shape it a little on a cutting board. Put some flour on a cutting board, dump the dough out, fold it into its self a few times, shape it into a ball, put it on a linen towel and cover with another towel to let rise. A cornmeal dusting on the bottom of the loaf before baking is a nice addition, but I don’t think it is entirely needed. 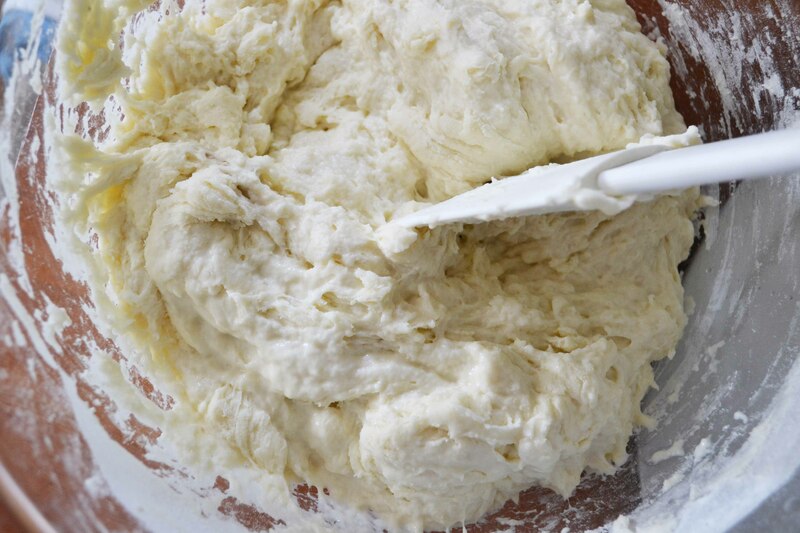 Now, sometimes this recipe might be hard to work with, You’ll let it rise and find you might have some trouble with the dough as it feels too wet and too hard to shape. It definitely will not be hard like a kneaded dough. It will take some practice before you get the hang of it and technique, but a 2.50$ bag of flour will make about 6-8 loaves. I spend no more than 2.50$ on bread a month. This is not that great for school lunches or quick sandwiches, but it is perfect for soups or toast.